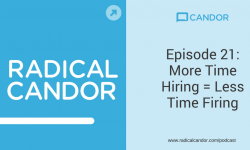 This episode starts with a conversation between Kim, Russ, and Hunter Walk, Partner at Homebrew (one of Candor, Inc.’s investors). Hunter tells Kim and Russ about being promoted to a management at Google and questioning whether it was a good fit for him. He liked the increased input on strategy he was able to contribute as a manager, but he didn’t think managing people was what gave him energy. He had a dilemma though: there weren’t a lot of non-managerial opportunities that would give him such impact on strategy. He eventually decided to take some time away to think about it, and found a new opportunity that allowed him to move out of managerial responsibilities and to focus on different work relationships. Kim and Russ dive deeper into the problem of deciding whether management is right for you. A lot of people end up in management roles because they were the top performer on their team, but that doesn’t necessarily mean they should be a manager. Kim and Russ offer some signs to think about that might indicate you don’t really want to be a manager. The people on this team, their success, is more important to me than my own. Are you excited about the responsibilities of a manager? The stuff that managers do matters, but you have to be excited about those things. I want to restore the dignity to the office of management. Do you want to be the boss, or do you want to do the things that bosses do? Tip 1: Double check the decision. Tip 2: Tell your boss if you don’t want to be a manager anymore. Tip 3: Be open and candid about your rationale for not wanting to pursue management. Tip 4: Get clear on where your growth will come from. Listen to the episode for Kim and Russ’s explanations of these tips. Also, the Gallup research we discussed in this episode is called “The Global State of Engagement”, shared with us by Larry Emond, Managing Partner at Gallup. 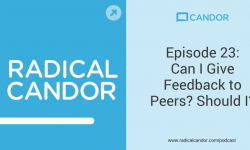 Ready to start putting the Radical Candor ideas into practice? Download the Candor Coach iOS app for help! 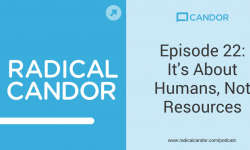 We’ll be back next week with a new episode of Radical Candor! previous post: Are you an Absentee Manager, a Micromanager, or a Thought Partner?